Having a heater in the middle of winter sure is nice, but looking at huge heating bill isn’t! After installing your heater, it’s all about getting the most out of it with the lowest possible cost. But unfortunately, many people are running their heaters at less-than-amazing efficiency. But luckily they can change that by adopting some new habits or with the help of a few HVAC services. Most homes in the area rely on forced-air furnaces for heat. They’re inexpensive and effective, which makes them an excellent fit for our short winters and comparatively mild heating needs. But they run into problems just like any other appliance, especially now, at the end of winter, when they’ve been running on a regular basis and are likely subjected to the pressures of wear and tear. Older furnaces, in particular, need to be watched carefully because fundamental components may begin to break down. In particular, a cracked heat exchanger is a serious problem that may require a replacement furnace before you can safely heat your home again. It may also help explain why your system suddenly shuts off and can’t be turned on again. Here’s a quick breakdown of what it means when this problem appears. Repair or Replace Your Old Heater? 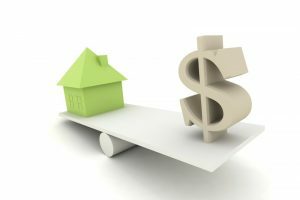 The weather has been growing steadily cooler for many weeks now, and as fall turns to winter, prudent homeowners are using their heating system more and more often. If you have an older heating system that may be on its last legs, now is the time to determine that. When a problem crops up with such a system, is it worthwhile to repair it? Or would that money be better spent on a replacement heater? Posted in Heating | Comments Off on Repair or Replace Your Old Heater? What Happens When Furnace Burners Won’t Work? Most homes in the Walker, LA area use gas forced-air furnaces to heat their homes in the winter. They’re simple and effective, and they make a great fit for our warm Southern climate. Furnaces depend on burners for their heat, and when the burners don’t work, there’s a big problem. The good news is that a trained repair services can usually take care of the problem quickly and effectively. 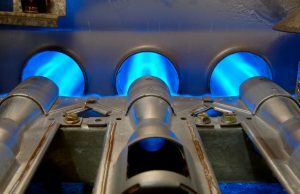 Burners in gas furnaces rely on natural gas for fuel. They burn it below a heat exchanger – a shaped piece of metal that effectively transfers the heat to the air (which can then be blown into the ducts of your home with a fan). That’s more energy efficient than just letting the gas burn in the air. But that also means that any problems with the burners need to be addressed quickly. At best, a few burners knocked out of commission will lower the efficiency of the heater a great deal: increasing wear and tear on the rest of the unit and raising your monthly energy bills to boot. At worst, they can shut the entire system down completely. Sometimes, burners will shut off automatically, to prevent a gas leak or present a similar type of hazard. In these cases, the problem usually lies elsewhere, such as a leak in the gas lines or a faulty ignition system. Burners can often become clogged with dirt and gunk as well, preventing them from running. And in some cases, wear and tear, can take their toll, or they may suffer damage from misadventure or something similar. Regardless, you need a qualified repair service to diagnose the issue and find a solution. The friendly professionals at A Professional Heating and Air are on the job for you! Posted in Heating | Comments Off on What Happens When Furnace Burners Won’t Work? What Kinds of Things Reduce the Air Flow in Your Heater? Furnaces in the Springfield, LA area usually follow the centralized forced-air model: heating the air via burners and a heat exchanger, then blowing it through the ducts to the various corners of your house. (The same ducts are used to carry cool air from your air conditioner in the summer.) The ducts are often hidden from sight, but they — and more specifically, the vents where the air emerges — can alert you to a potential problem with the system. For example, if the air flow from your vents drops down below the level you expect, it’s usually a sign of a more serious problem inside the system. Posted in Heating | Comments Off on What Kinds of Things Reduce the Air Flow in Your Heater? In towns like Springfield, LA, good heating and air conditioning service is vital to a happy household. It goes beyond simple comfort into questions of actual safety. Extremes in temperature — whether high or low — can constitute a danger to your family members, leading to heat stroke, vulnerability to flu bugs and the like. When your HVAC system goes down, you may need it repaired much more quickly than you expect. And if that breakdown occurs after hours or over the weekend, an emergency repair call may be in order. Posted in Heating | Comments Off on What Constitutes an HVAC Emergency? What Causes Your Furnace to Short Cycle? Short cycling is the tendency of your home furnace to turn on and off rapidly numerous times throughout the day, often without adequately cooling your home first. It’s a big problem because furnaces use far more energy starting up than they do simply running. A short cycling furnace is wasting energy – costing you more in monthly heating bills – as well as elevating the chances of a serious breakdown occurring in the near future. Hammond, LA features mild winters, but our nights can still get pretty cold and the last thing you want is your heater suffering a repair call just when you need it the most. The good news is that a repair technician can usually solve the problem. But what causes your furnace to short cycle in the first place? Posted in Heating | Comments Off on What Causes Your Furnace to Short Cycle? Being the most common kind of heating system on the market has given furnaces a couple of advantages. Their parts are the easiest, and often cheapest, to find and install. It’s easy to find a company that provides heating repair for them, and most homes are outfitted with the proper equipment to use them. Being the most common also means that furnace problems are the most common type of HVAC problem in the industry. Since it’s always a good idea to have at least a little bit of knowledge about how your home heating system works, let’s explore some of the most common furnace repairs. Technically, this isn’t even a “repair” so much as it is a maintenance issue. It still causes a great deal of repairs every year, though, so it’s worth examining. The air filter is a part installed in the air return duct of your furnace’s air handler. It is designed to protect the furnace from any dust or other particles that might blow in from the home’s ducts and damage the system. Though it’s very good at this job, the air filter is unfortunately incapable of getting rid of these particulates once it captures them. If not cleaned or replaced every 1-3 months, the air filter can become so clogged that it restricts the flow of air into the furnace. That can cause all sorts of problems, including overheating and cracks in the heat exchanger. So, if you don’t know how to change your furnace air filter, call an HVAC technician to show you how to do it. Then, change or clean it every few months. Failing to start is a really common problem among all heating systems, not just furnaces. In the furnace’s case, however, the problem is likely with the ignition device. 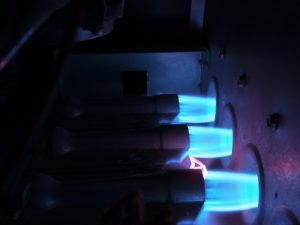 Some furnaces still use the old gas-powered pilot lights as ignition systems, in which case you’ll want to check and see if the flame is still burning. Otherwise, it is possible that a heating element or electrode has burned out, removing the only method the furnace has for lighting the burner assembly. If your furnace is experiencing issues, call A–Professional Heating and Air Conditioning and make an appointment with us. We provide professional heating repair in the Mandeville, LA area.